The ER Series features large external reservoirs front and rear, independently adjustable rebound and compression, plus a mono-tube twin-piston design. The large external reservoirs allow for a higher oil capacity that translates to faster heat dissipation during extended road course use. The ER Series features large external reservoirs front and rear, independently adjustable rebound and compression, plus a mono-tube twin-piston design. The large external reservoirs allow for a higher oil capacity that translates to faster heat dissipation during extended road course use. 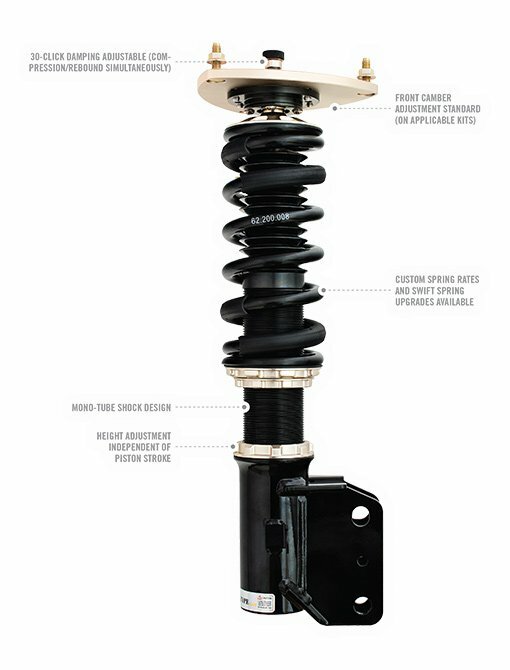 Additionally, the external reservoirs house the secondary piston, which allows for the independent adjustment of compression, separate from rebound adjustment. 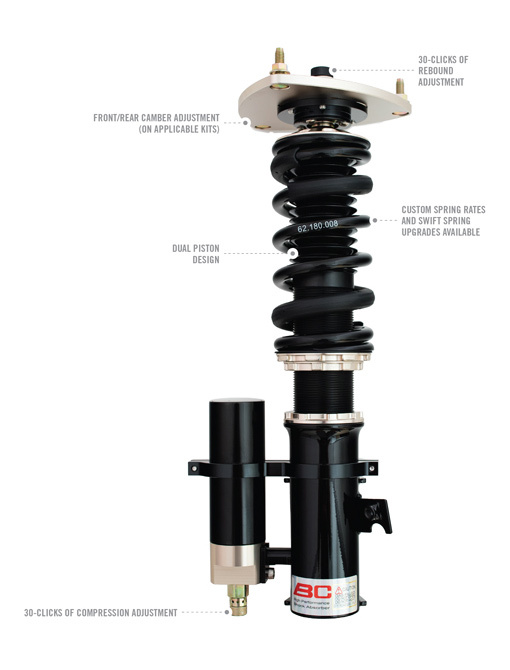 The ER Series coilover is the perfect system for the driver who wants to dial in his or her suspension by varying the compression and rebound settings to fit a specific driving style and performance demand.